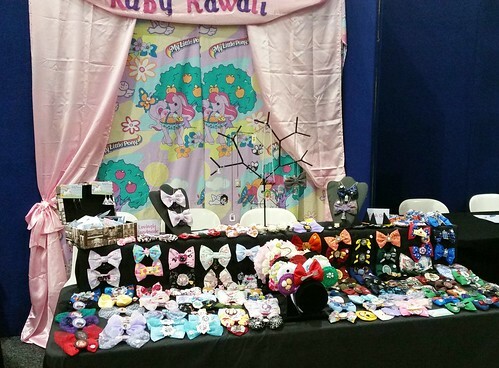 Supanova was on again last weekend and as usual we had a stall for Ruby Kawaii! Brisnova is a good one because it’s not only very convenient, it also goes for three days which works well for is as the Friday is a bit quiet and if you forget anything you don’t have to stress too much. Win win! There was a pretty stressful lead up to the weekend though as mum and I left things til last minute, as per usual. But we got it all done and had a good time as per usual. 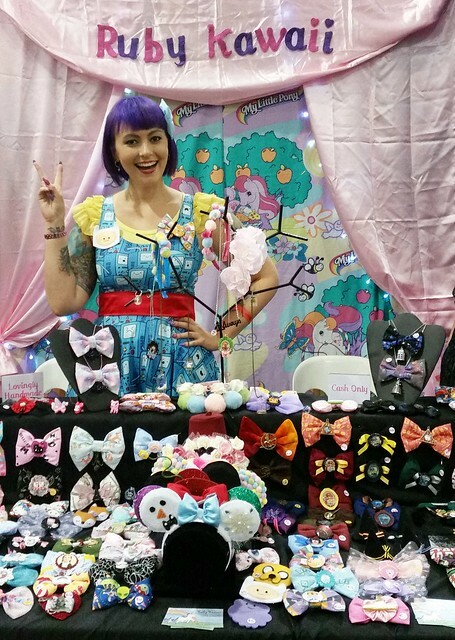 It actually didn’t feel as busy as previous years but sales-wise we did fine and they apparently had record crowds so I think it might have been because of the new venue which was much bigger and easier to get around (instead of being in various halls across the RNA showgrounds). Here are a few photos I quickly snapped over the three days, including some of our stall and the people I saw over the weekend! 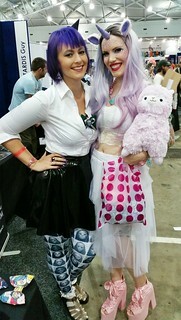 Day One: Manning the stall, with Emma of Emetic Art and with my longtime friend Sarah as Burlesque Poison Ivy! 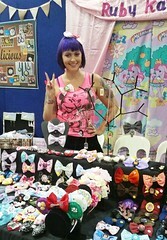 Our stall, with new set up. 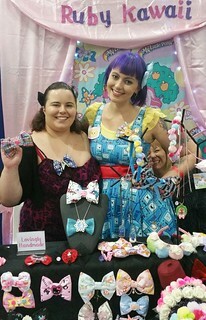 I think we’re the cutest stall in Artist Alley by far! Shame we forgot to iron the curtains though! 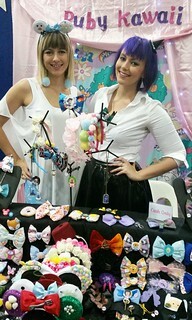 Day Three: Erin and I at the stall and with the super lovely and gorgeous Amanda Hartley. 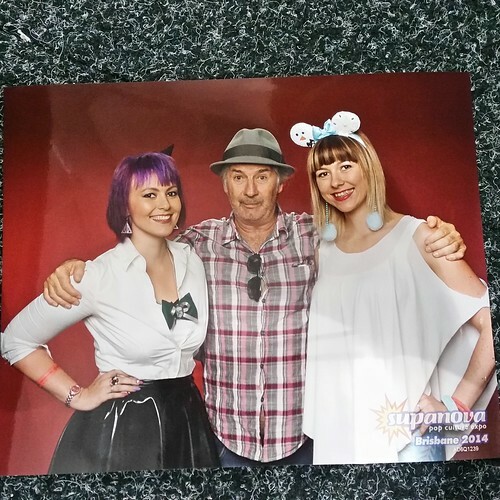 Erin and I got a photo with Aussie actor John Jarratt who’s most famously known for his terrifying character Mick Taylor in Wolf Creek. 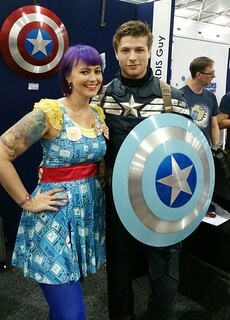 He was super flirty and hilarious, we were glad we decided to go get a pic with him! Happy New Year! It’s 2015!